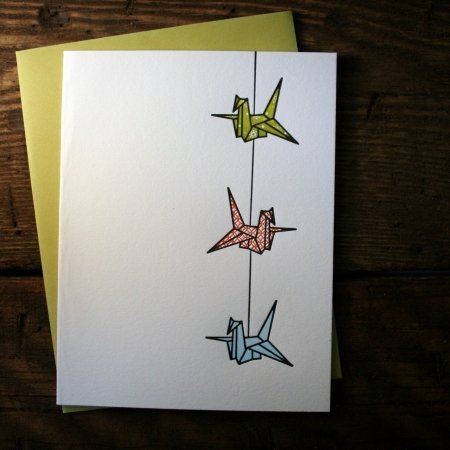 In post World War II Japan, origami cranes have become a symbol of and wish for world peace. 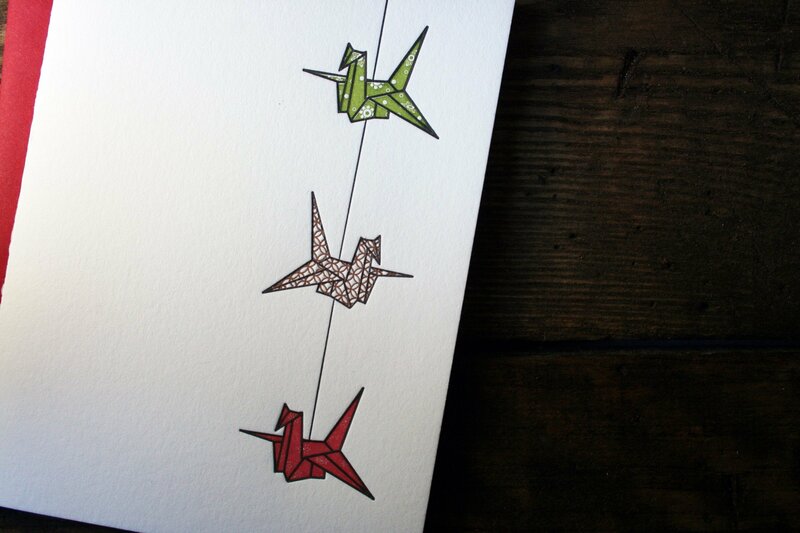 It is said that anyone who folds 1,000 of these cranes will be granted one wish. 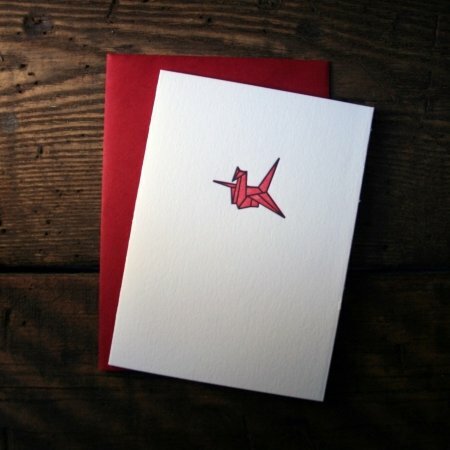 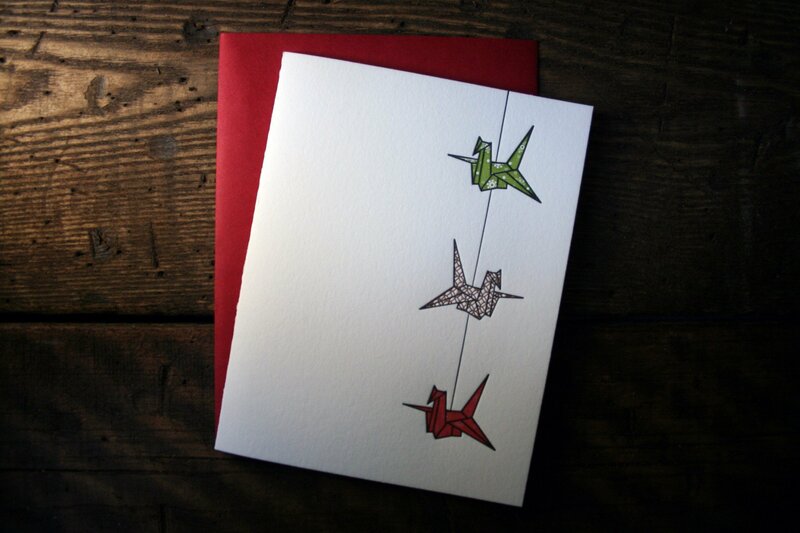 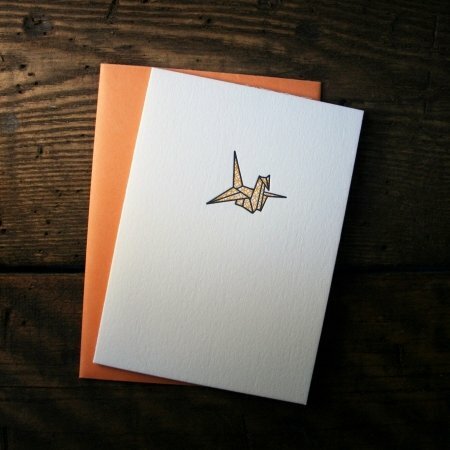 This letterpress card, featuring an image of three origami paper cranes on a string is sure to send a message of peace, good wishes and hope anytime of year.